Robertus Penn Warren anno 1968. 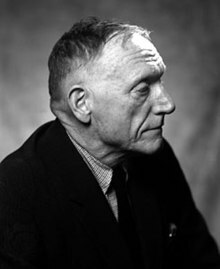 Robertus Penn Warren (natus in vico Guthrie Kentukiae 24 Aprilis 1905; mortuus in vico Stratton Montis Viridis 15 Septembris 1989) fuit scriptor et poeta Americanus qui praecipue mythistoria All the King's Men innotuit. Anno 1947, huius operis gratia, Praemium Pulitzer accepit. Novissima mutatio die 2 Iunii 2015 hora 14:23 facta.